Former union minister Kamal Nath today said that Congress would announce the party's face against chief minister Shivraj Singh Chouhan for next year's assembly polls at the right time. INDORE: Former union minister Kamal Nath today said that Congress would announce the party's face against chief minister Shivraj Singh Chouhan for next year's assembly polls at the right time. Congress is out of power in Madhya Pradesh since past one-and-half decades. 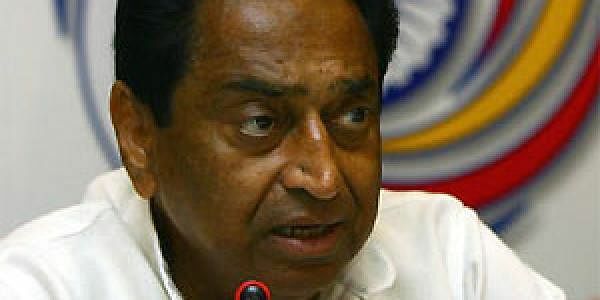 Talking to reporters here, Kamal Nath said, "I believe that there is a need to project a face against Shivraj. The name of the leader would be announced at the right time." Nath reiterated that he has no objection for projection of senior Congress leader Jyotiraditya Scindia as Congress face in the next elections. The Congress leader said, "I have earlier told that I don't have any objection, if party projects Scindia as party's face or the Pradesh Congress Committee president." He said, "There is no factionalism in the Congress. We all Congress leaders are working together with an aim to form the party government in Madhya Pradesh and to give relief to the public." Kamal Nath, however, said that state Congress needs to speed up and strengthen its campaign keeping the next assembly elections in view. He said, "We have only one year left for election. We will together remove all our weaknesses. The voters of the state are not fools. BJP cannot mislead the people by presenting a false picture of development." Kamal Nath has reached here to participate in the ongoing Narmada Parikrama of Congress general secretary Digvijay Singh. He said that this 3,300 kms long Narmada Parikrama of Digvijay Singh has nothing to do with politics and the former chief minister has embarked on this journey on foot due to his strong determination.